In continued action to grow visitor numbers to the country, the Uganda Tourism Board is set to showcase Uganda at the ITB Berlin Tourism Trade Fair. The annual showcase slated for March 6 – 10, 2019 at the Messe in Berlin is the World’s Leading Travel Trade Show for every international expert in the tourism industry. A Ugandan delegation comprising over 30 Ugandan tour operators, UTB officials and officials from the Uganda Wildlife Authority is led by the State Minister for Tourism, Wildlife and Antiquities, Hon. Godfrey Kiwanda Ssubi today set off for Germany to attend the ITB Berlin Tourism Trade fair. A team of over 15 hotel owners from the Uganda Hotel Owners Association and over 10 independent trade visitors will also be joining the trade fair. The UTB Chief Executive Officer, Lilly Ajarova, said that the trade fair is a great opportunity for Ugandan tour operators to attract new business given the high profile as well as large number of participants that grace the event every year. “ITB is without a doubt of invaluable importance to Uganda given that Germany is one of our top source markets. We believe that at this trade fair, our tour operators will be able to get bookings as well as get connections to new markets. Exhibitor satisfaction at ITB over the years has stood at over 90%, which is a sign of effective delivery on business,” Ajarova said. Uganda’s stand will yet again be a star attraction given its impressive showing at the two previous editions. The country was voted 5th best exhibitor out of over 800 participants in the African category at the annual showcase in the 2017 and 2018 trade fairs. This is a position Ajarova hopes the country will better this year given the preparations tour operators and the marketing board have undertaken. 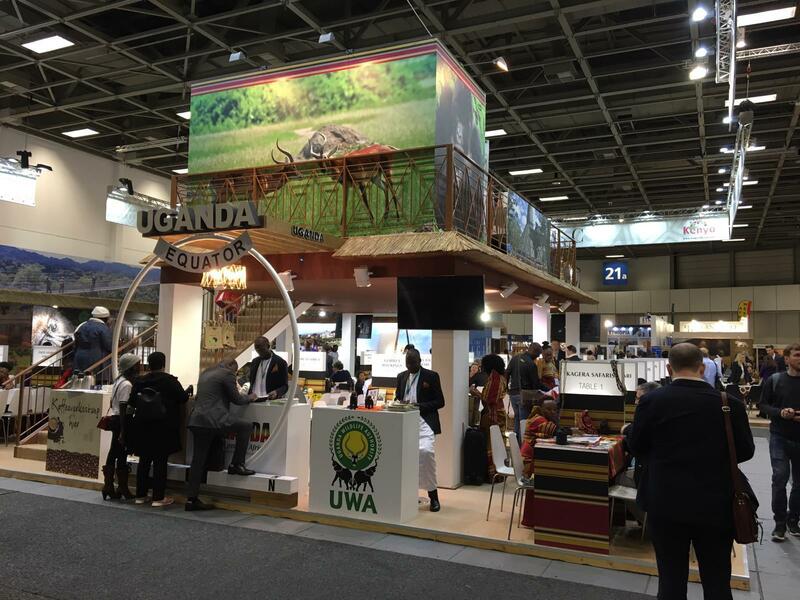 The ITB Berlin Tourism Trade fair is one of the world’s four major international tourism gatherings and one of the most important to Uganda’s tourism sector given that Germany, the host country, comes third as a source market for tourists in Uganda annually. According to ITB, more than 109,000 trade visitors and potential travelers seeking business opportunities as well as inspiration for their next trip visited last year’s trade fair. That number is expected to increase this year. This trade fair is where companies and organizations meet, as well as top decision-makers, experts, buyers and young professionals from every touristic area: Hotels, tourism organizations, tour operators, travel agencies, transport companies, booking portals, systems providers and all others. Tourism is currently Uganda’s leading foreign exchange earner, bringing in in excess of US$ 1.45 billion (which is 23.5% of the total trade fairrts) annually.